My first flight on a brand new CS100. 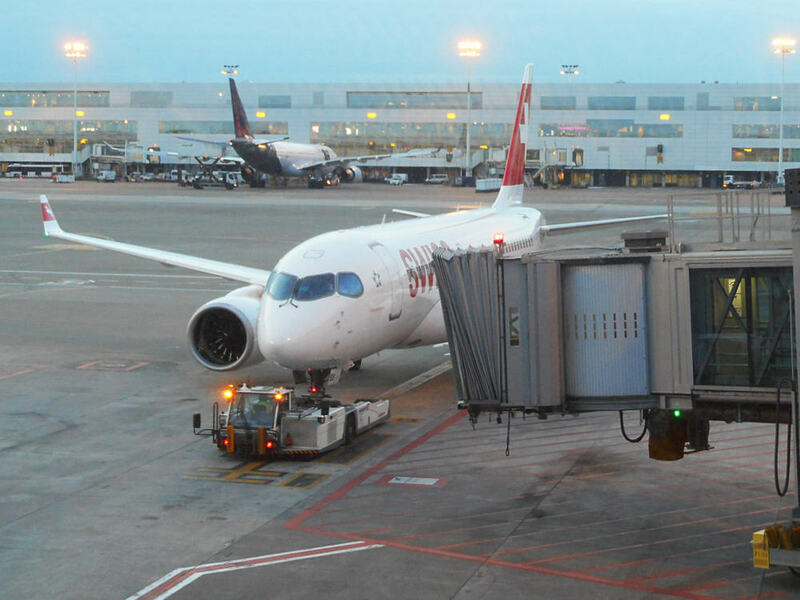 As I reached the gate I found this CS100 already pushing back for the earlier flight to Zürich. 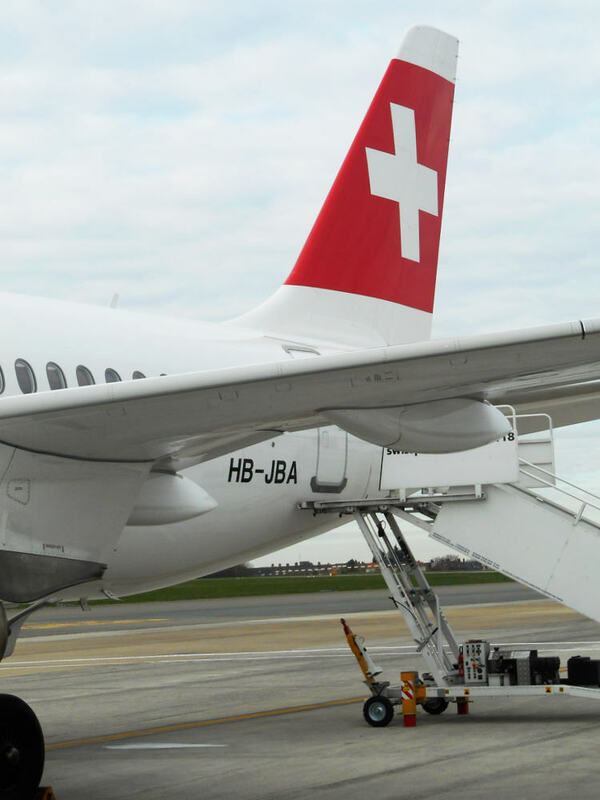 Swiss acquired seven CS100s to the date but swapped occasionally with remaining Avro RJ100 fleet. So was not sure if I will have this privilege in the end. 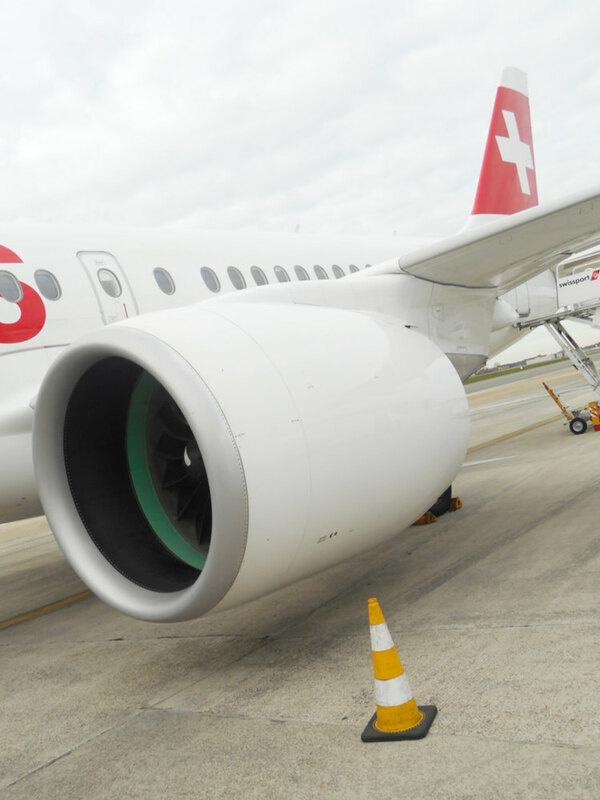 Swiss CS100 pushed back and ready for taxi. 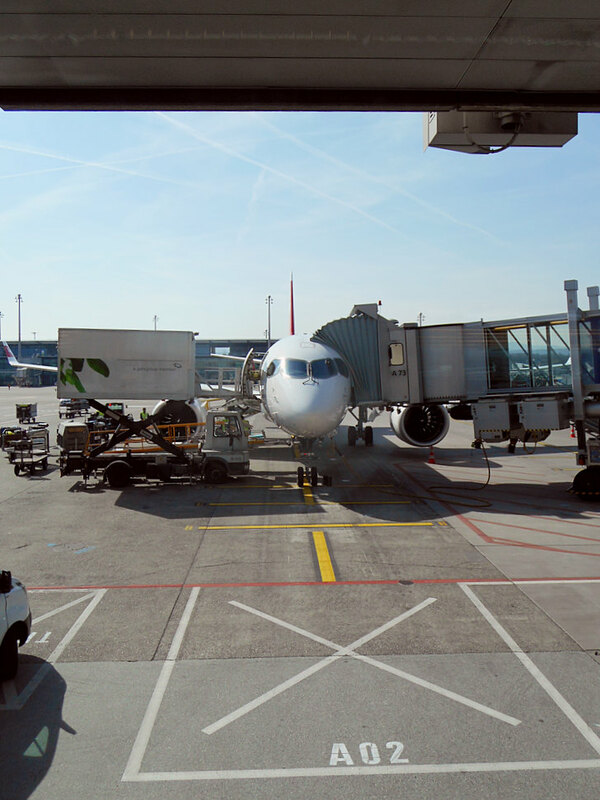 Germanwings/Eurowings A320 getting ready for the next flight. 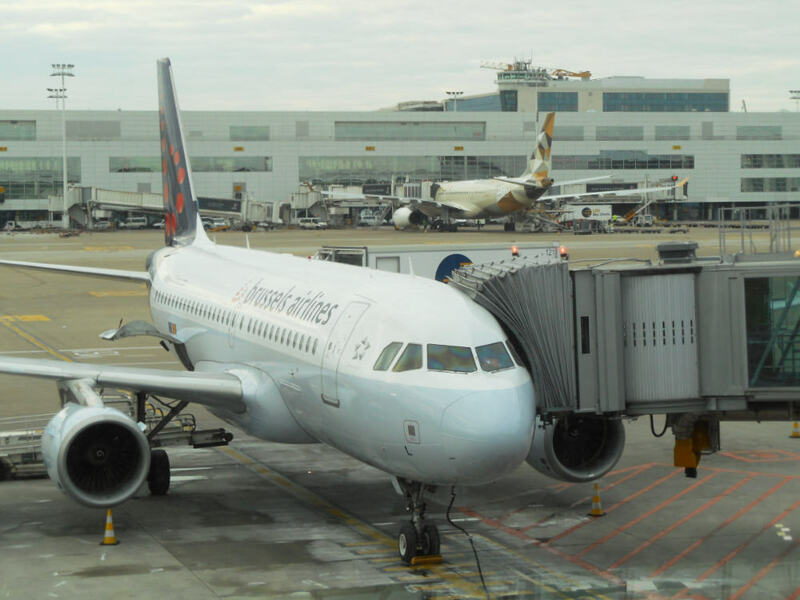 Just another Brussels Airlines A319 at the gate and Etihad Airways A330 parked at the B gates. 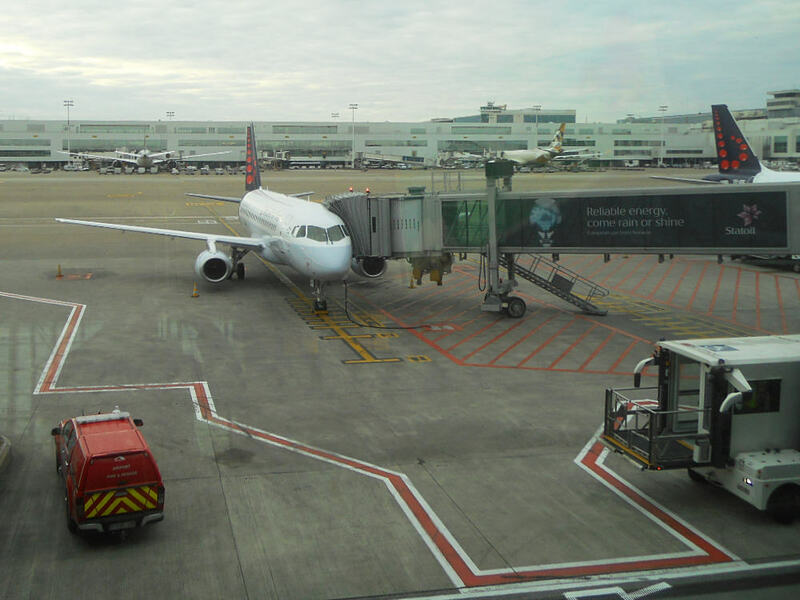 Brussels Airlines A330s in the background and another treat for this occasion: a brand new bird in Brussels Airlines’ fleet, Sukhoi Superjet 100 operated by CityJet. 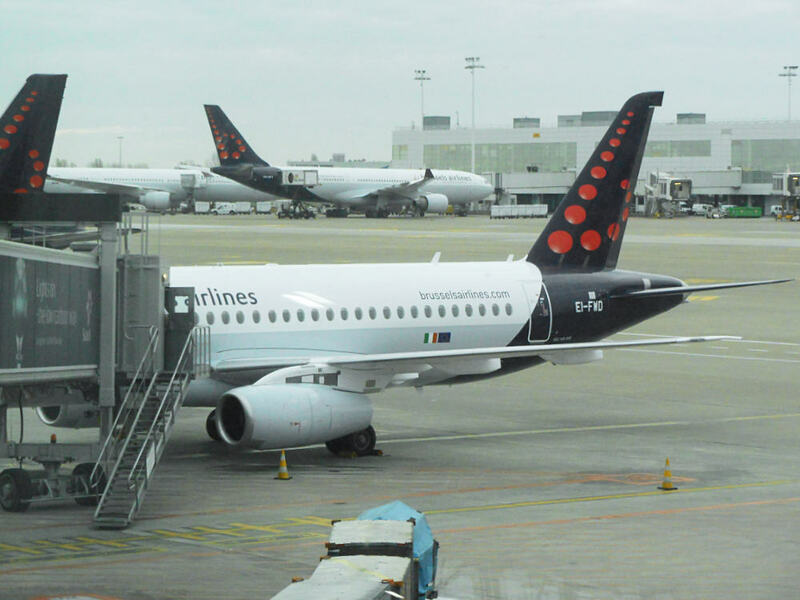 The airplane is wearing Brussels Airlines livery but is registered in Ireland. 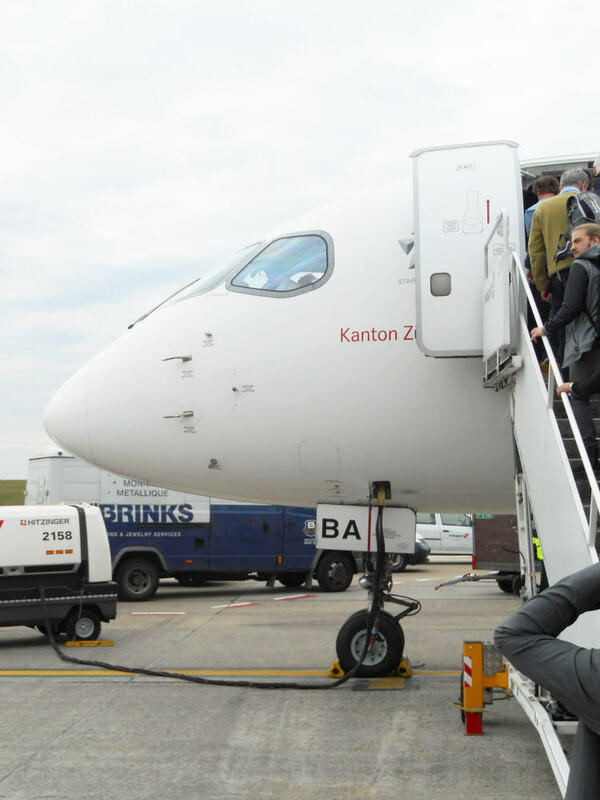 A glance from the other angle of Brussels Airlines Superjet 100 operated by CityJet. 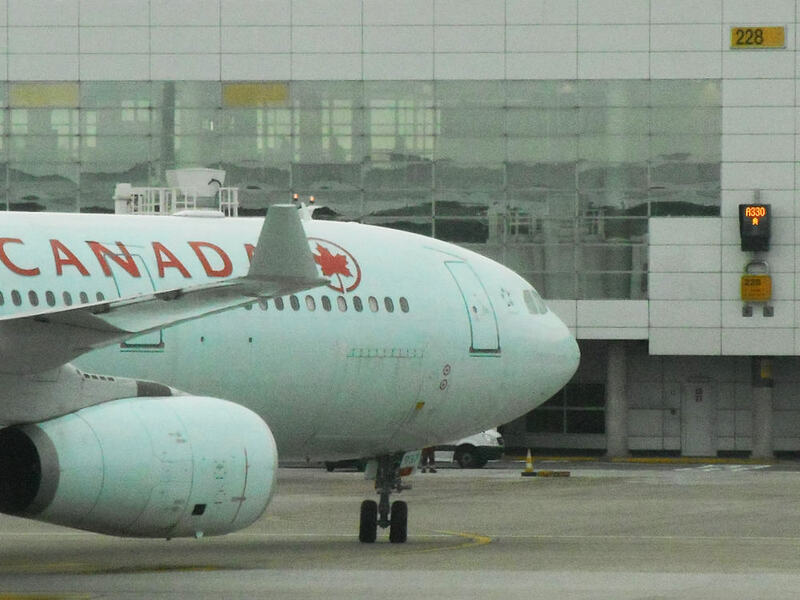 Landed minutes ago, Air Canada A330 approaching the gate at B terminal. 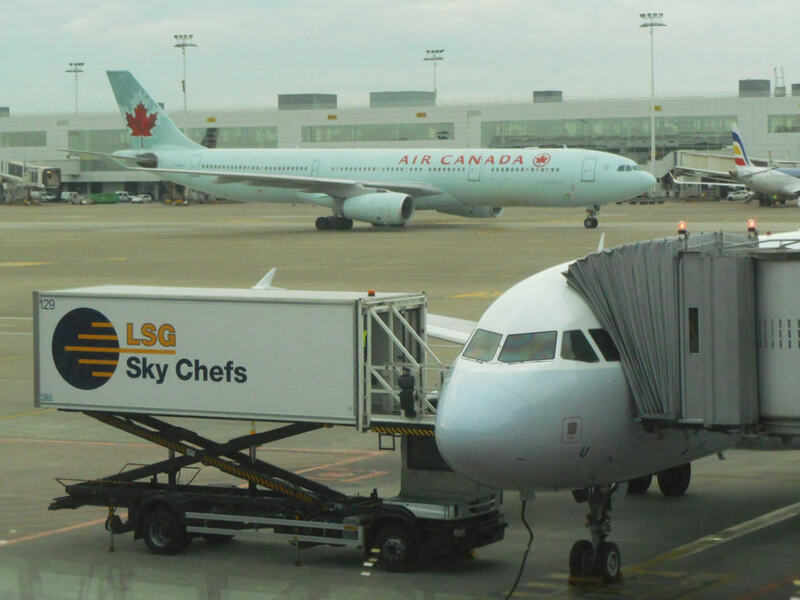 Air Canada A330 following the docking guidance system. Approaching the southern Apron 4. 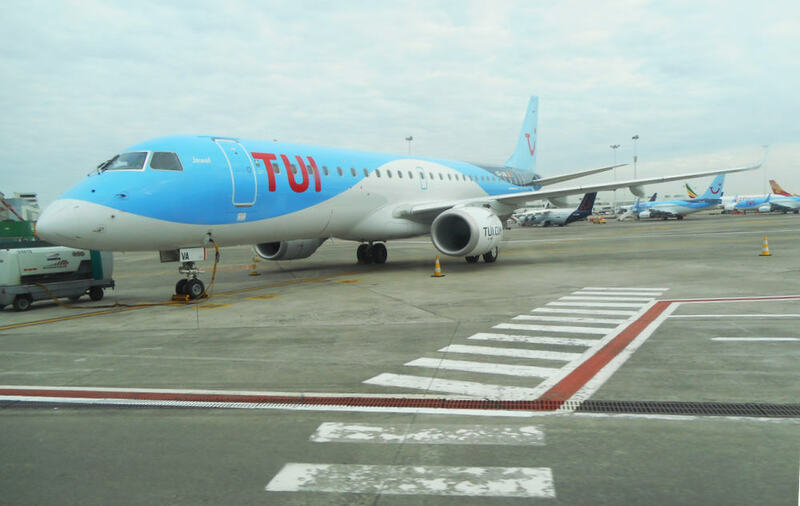 Plenty of leisure airlines on the stands, including TUI Fly Embraer 190. Thomas Cook A320 and Croatia Airlines Q400 in the background. TUI Fly Boeing 737 wearing special livery advertising Family Life Hotels. 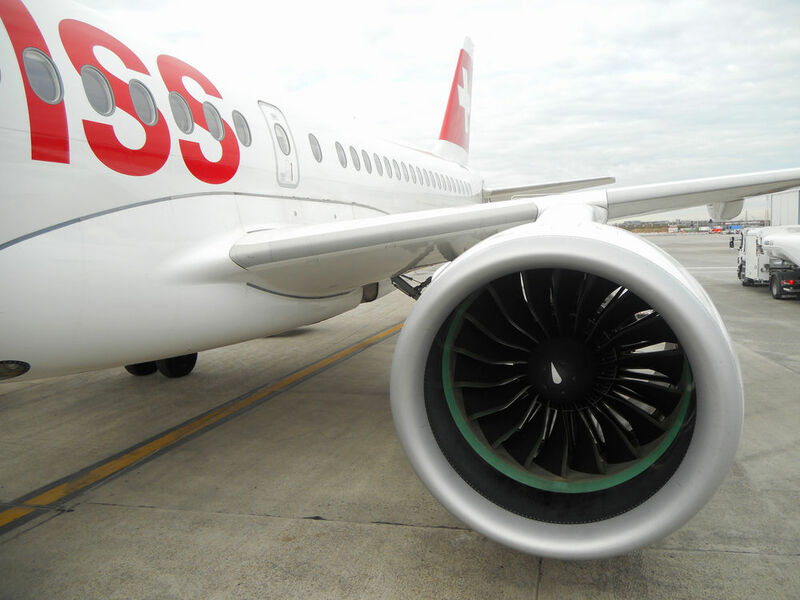 Finally I spotted another Swiss CS100 sitting on the stand. I guess we’re on! 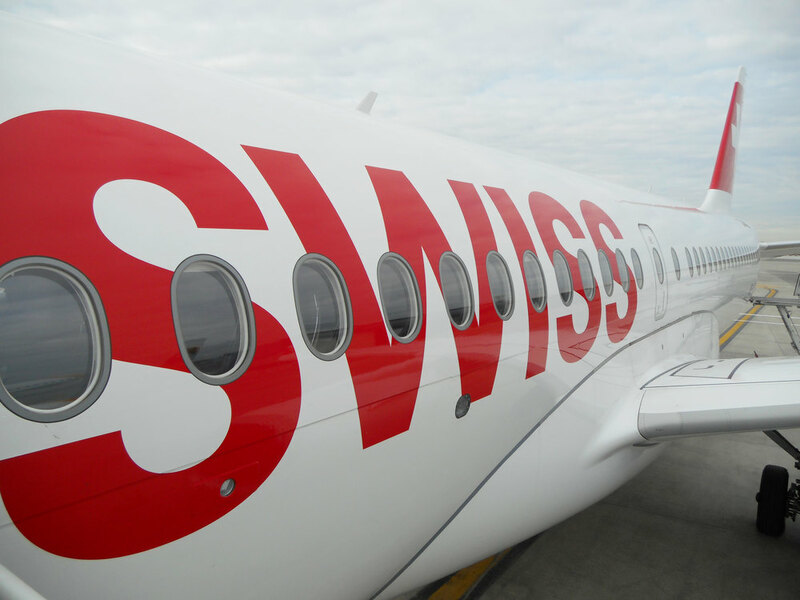 Jumped out of the bus and there it was – the beautiful CS100 in its full glory! This one was even appropriately named Kanton Zürich. 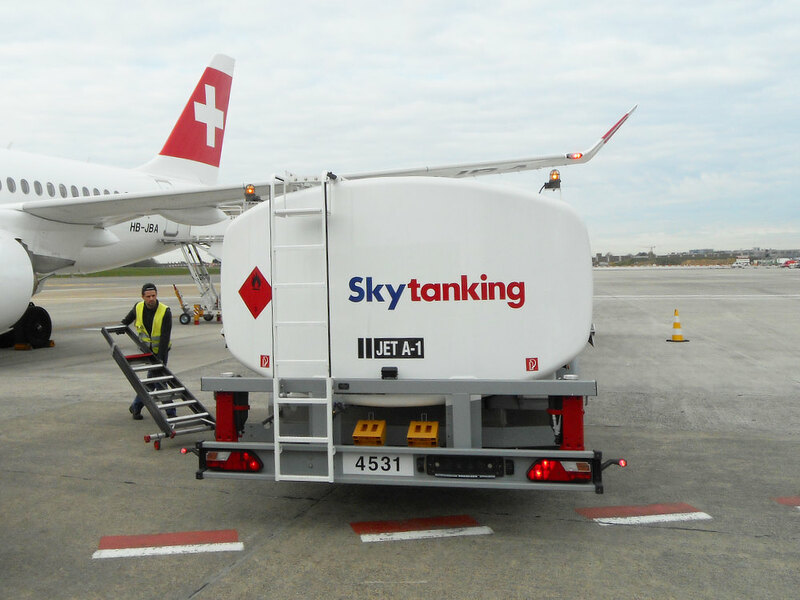 The aircraft was just refuelled. 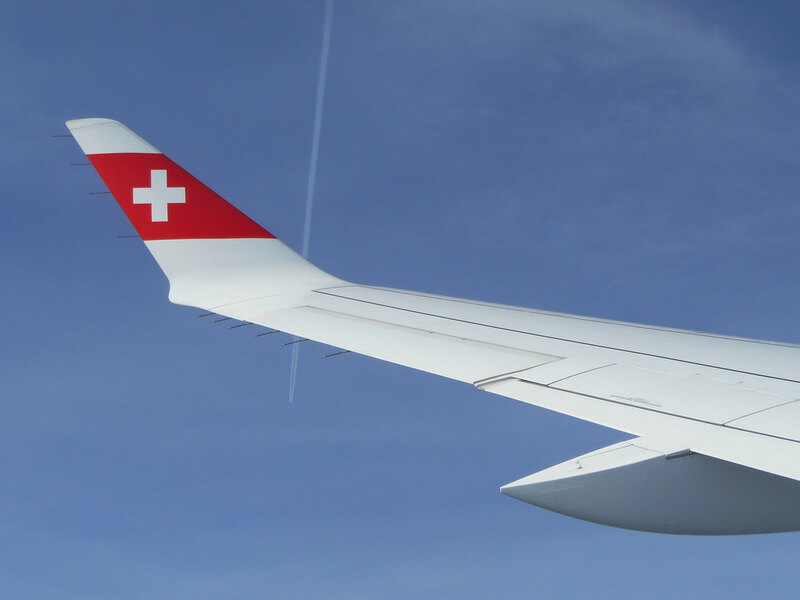 Proudly wearing the Swiss livery. 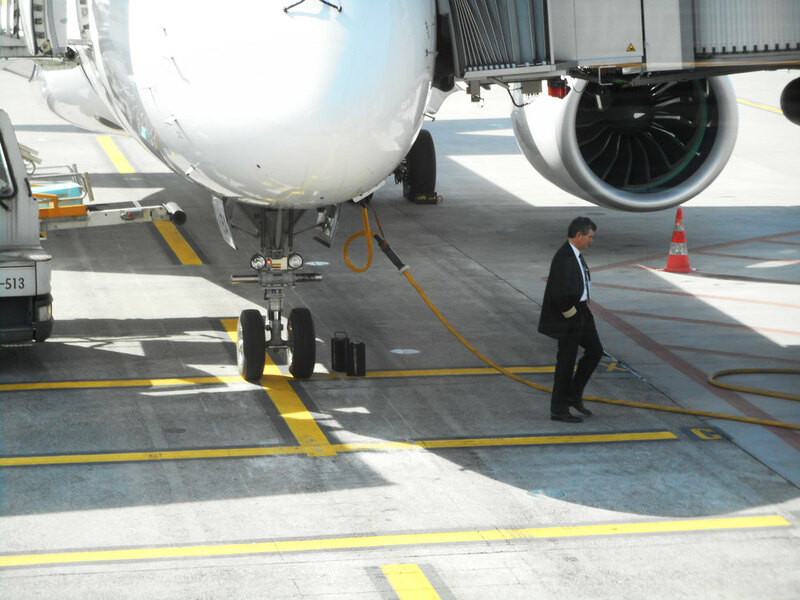 The crew is preparing the flight. 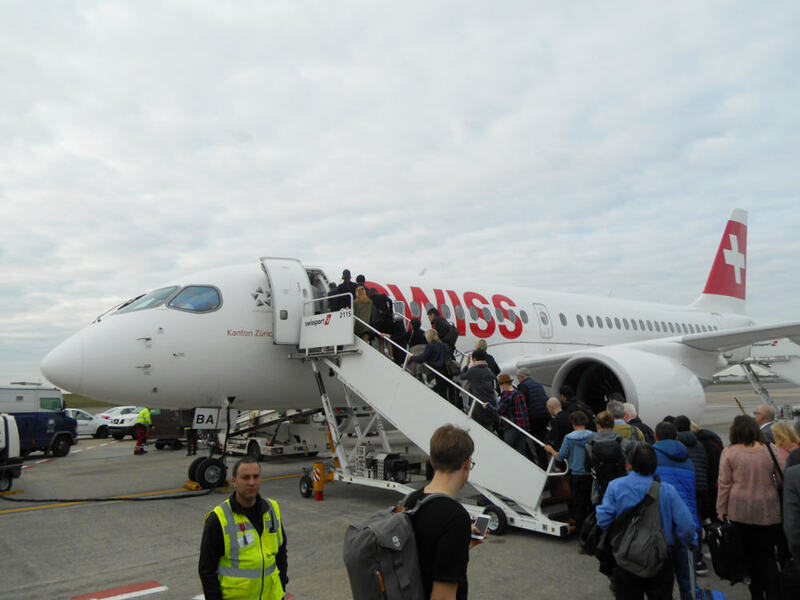 HB-JBA was the first CS100 delivered to Swiss in June 2016. Not even a year ago! Another look at the PW1500G engine. 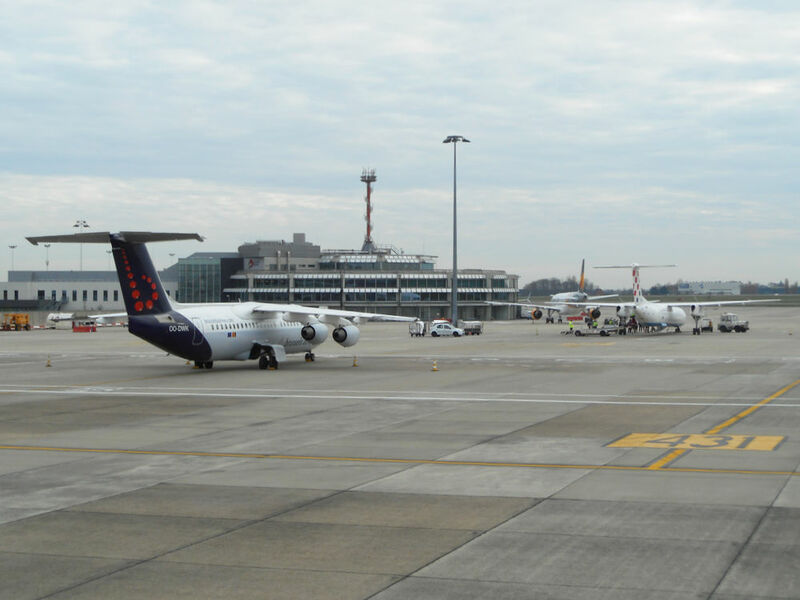 One of the few remaining Brussels Airlines Avro RJ100s and a view of the old BRU terminal. Minutes later we were taxiing towards the active runway. 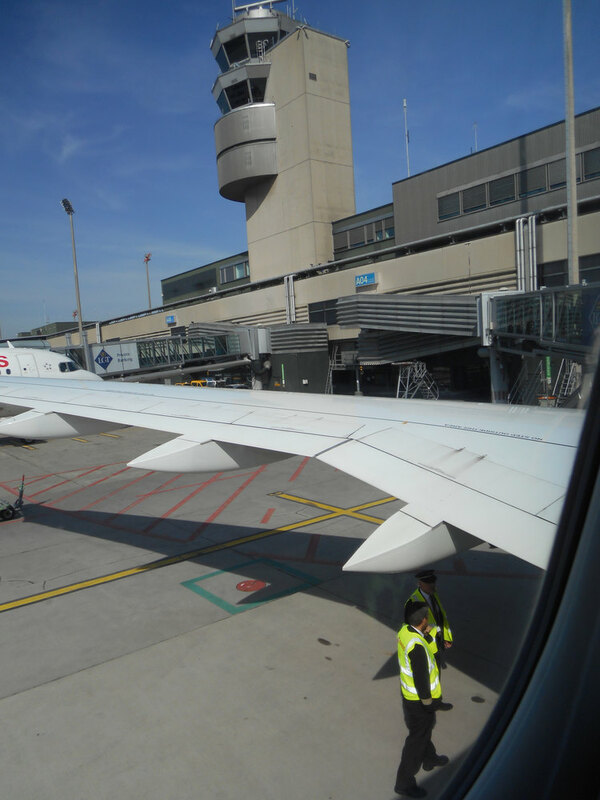 Scheduled at 09:55, taking off with a slight delay at 10:23. 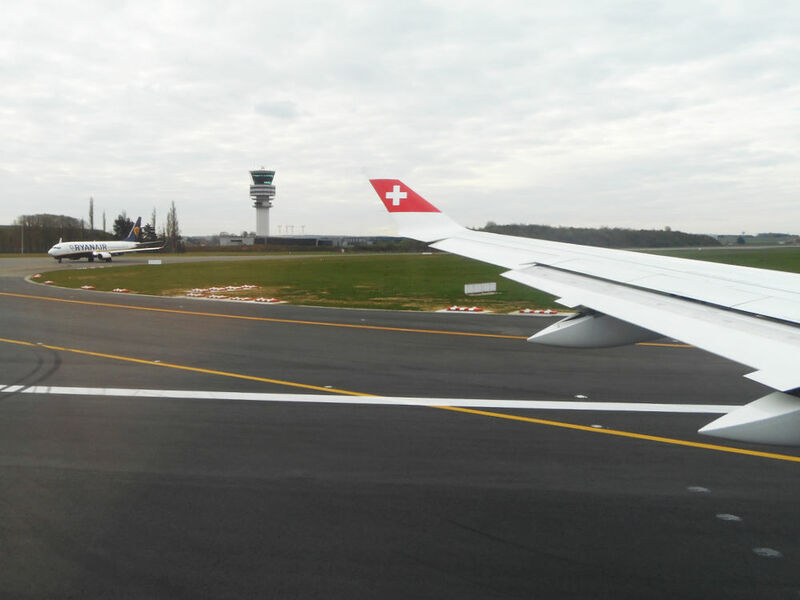 Taxi and takeoff from Brussels Airport (BRU) runway 25R. 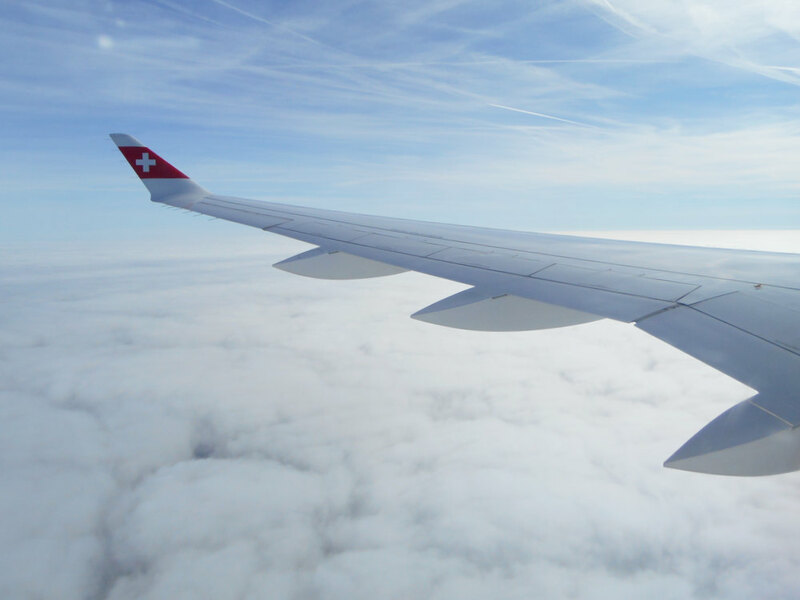 Shortly after takeoff we are punching through the clouds. 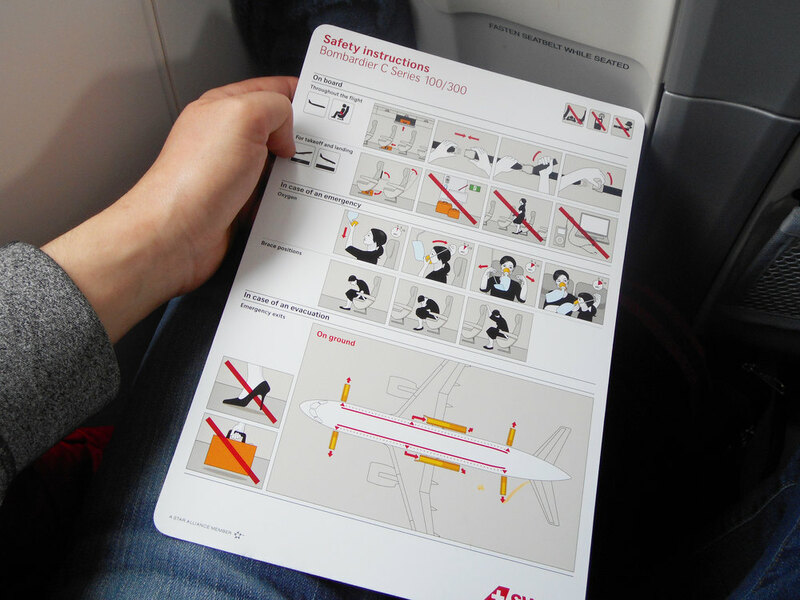 C Series’ safety instructions card. 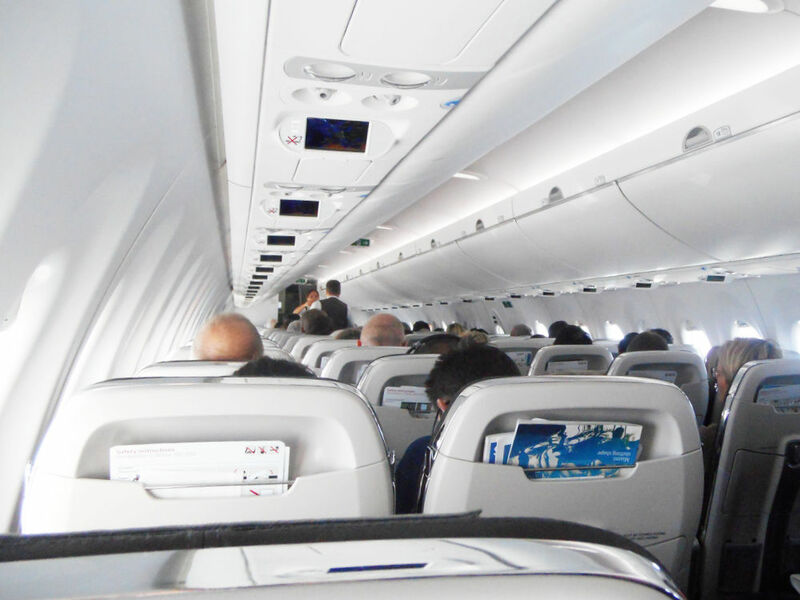 C Series introduces an innovative small passenger display units, the size of a smartphone. 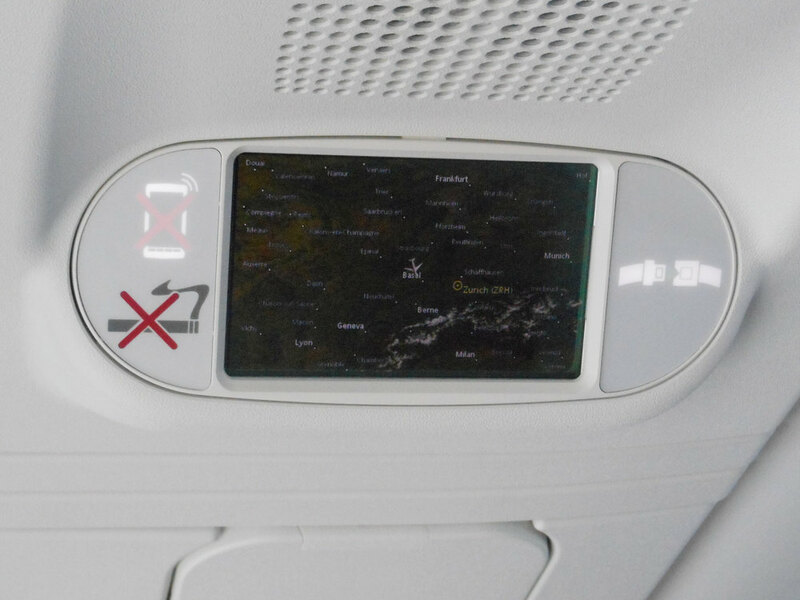 It shows a moving map and safety videos prior to departure. The last glimpse of the Belgian landscape. 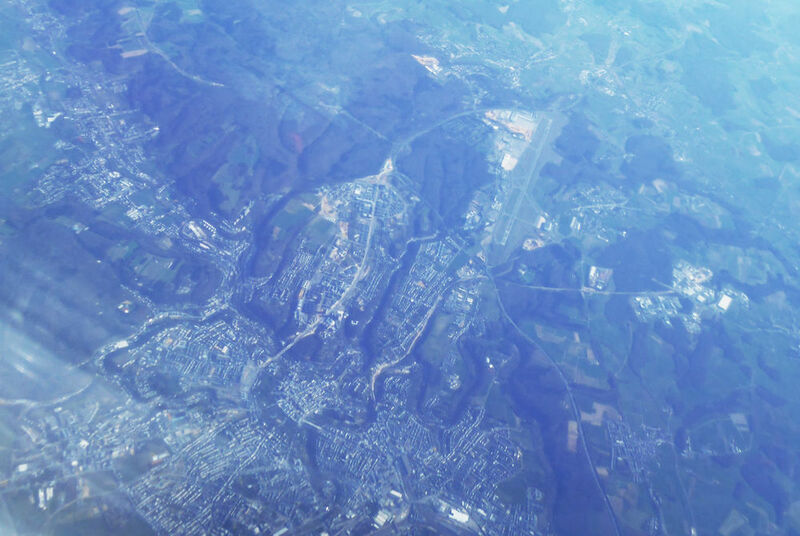 Overflying Luxembourg and its airport Findel (LUX). 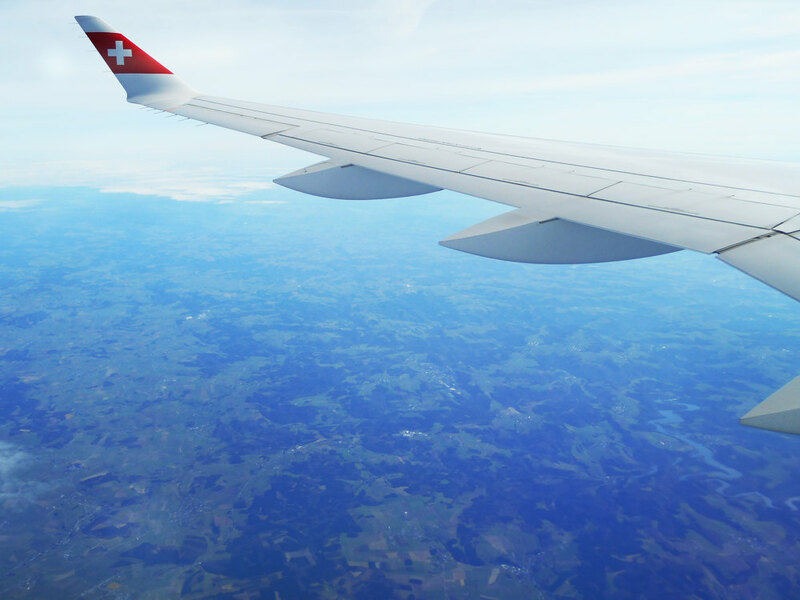 Entering the French airspace. 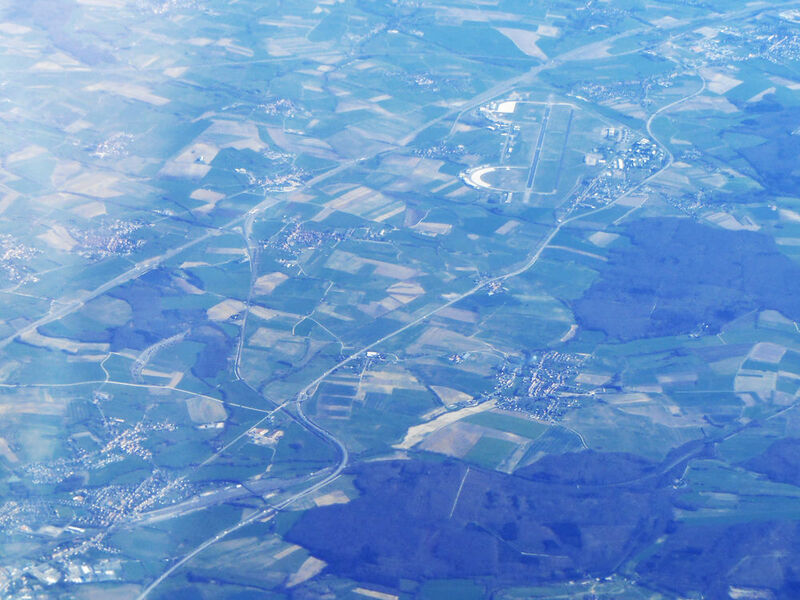 First airfield in sight was Phalsbourg-Bourscheid air base also known as Quartier La Horie. During Cold War this was a front-line base for the United States Air Forces in Europe (USAFE). Currently is used by combat helicopters regiment of the French Army. 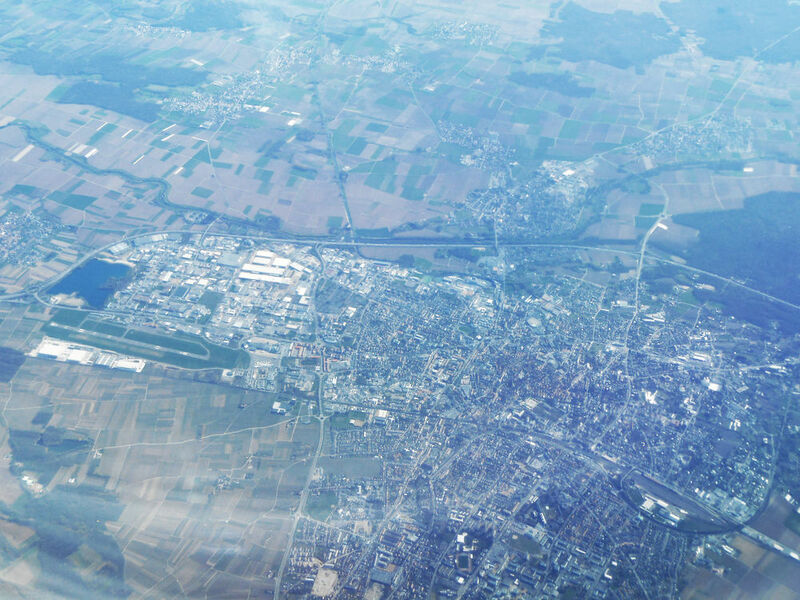 Overflying the city of Colmar in the Alsace region of north-eastern France. 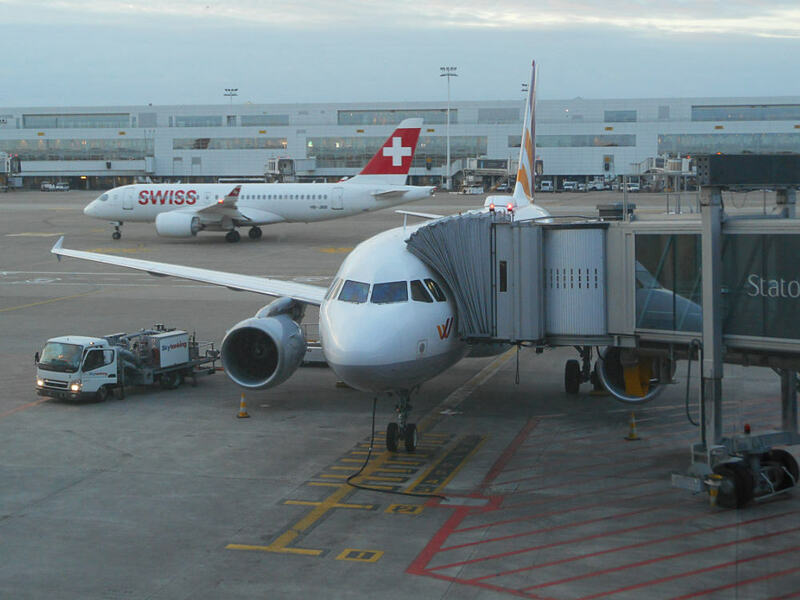 Adjacent to the city is Colmar-Houssen Airport (CMR/LFGA), a small airfield serving the Alsace region. 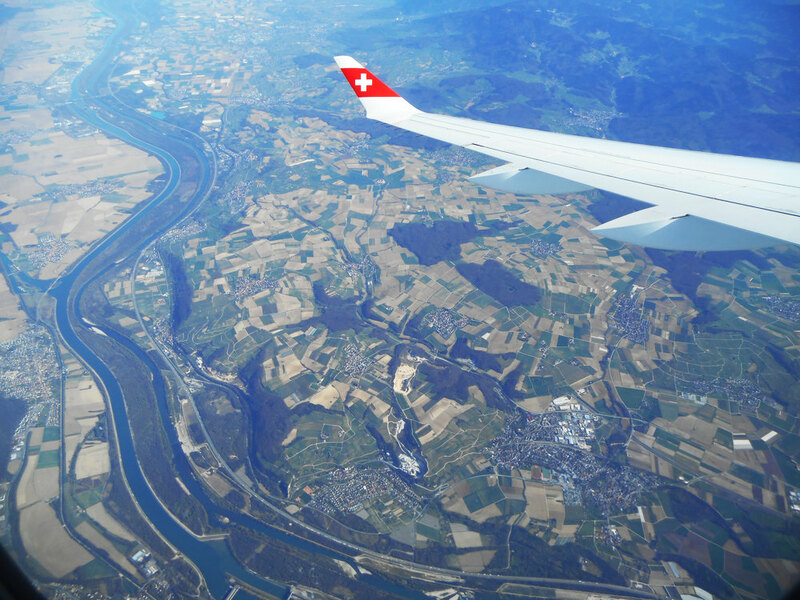 Descending with speed brakes deployed along the Rhine river. 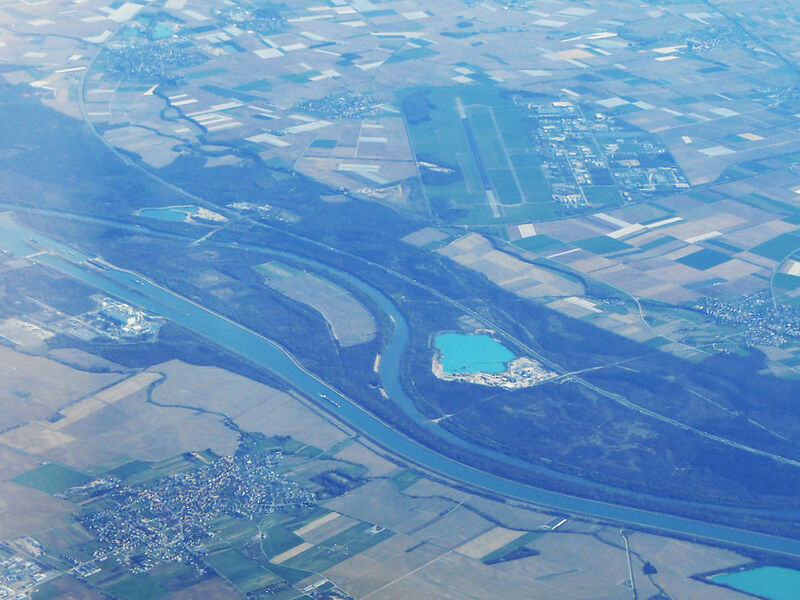 The river is also bordering France and Germany. Another small airfield, Bremgarten (EDTG) in Germany. 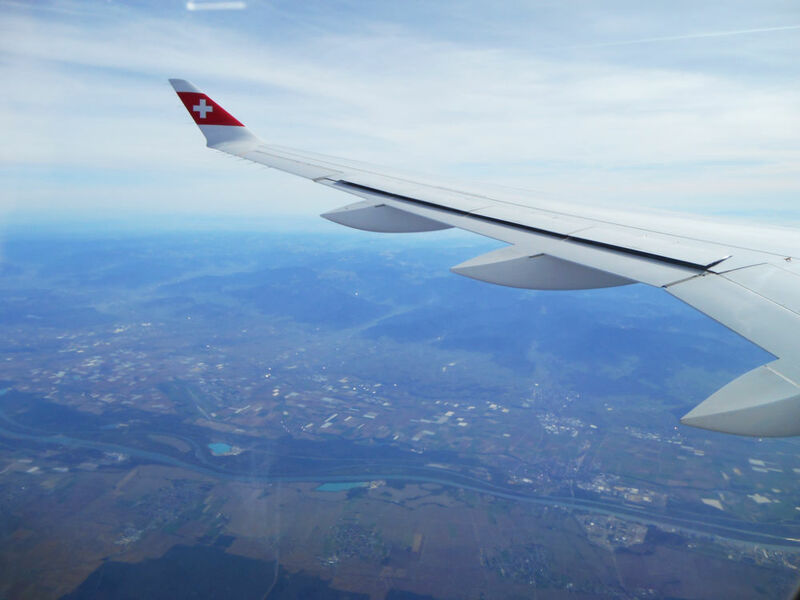 Turning on route over Bale (Basle) Mulhouse, BLM VOR to be precise, and starting the STAR procedure. 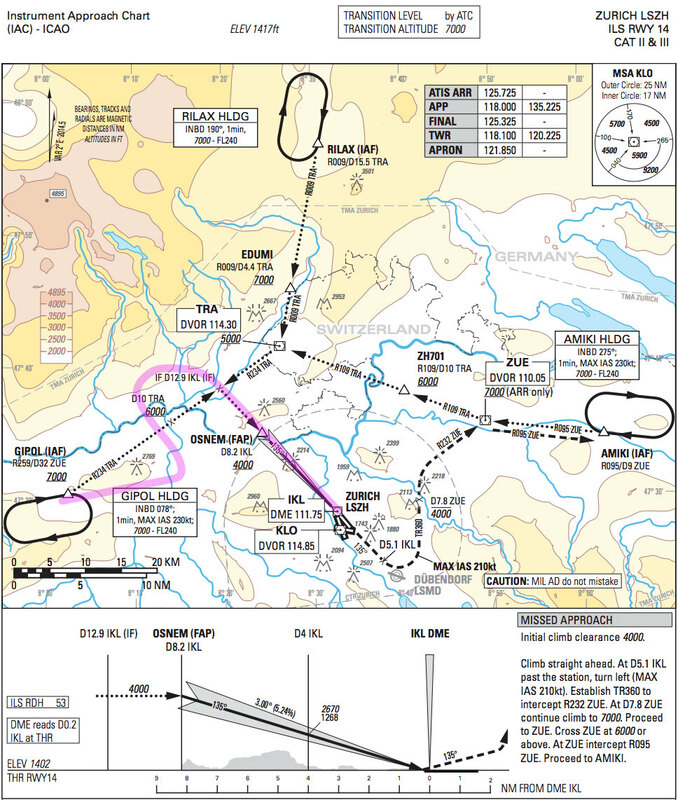 BLM 2G STAR procedure taking us to the holding point GIPOL. 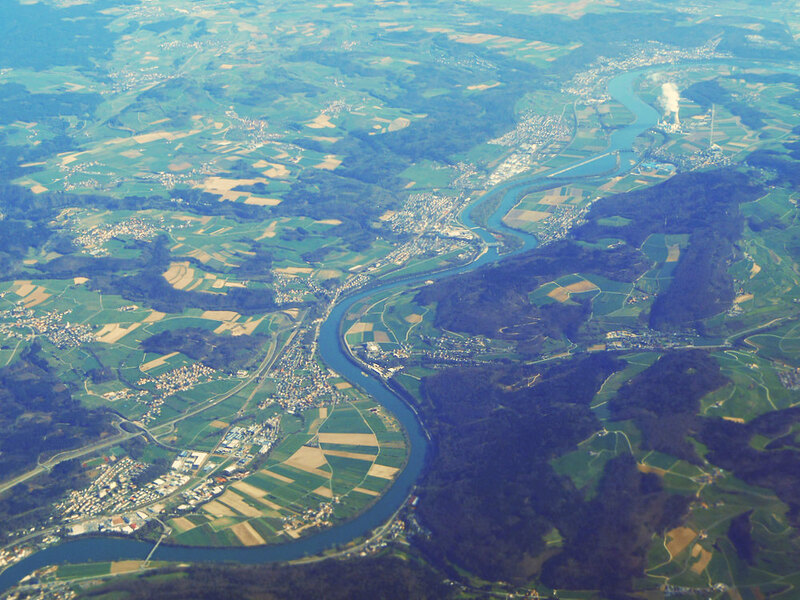 On route along the Rhine river, now bordering Switzerland and Germany. In the distance the Leibstadt nuclear power plant. 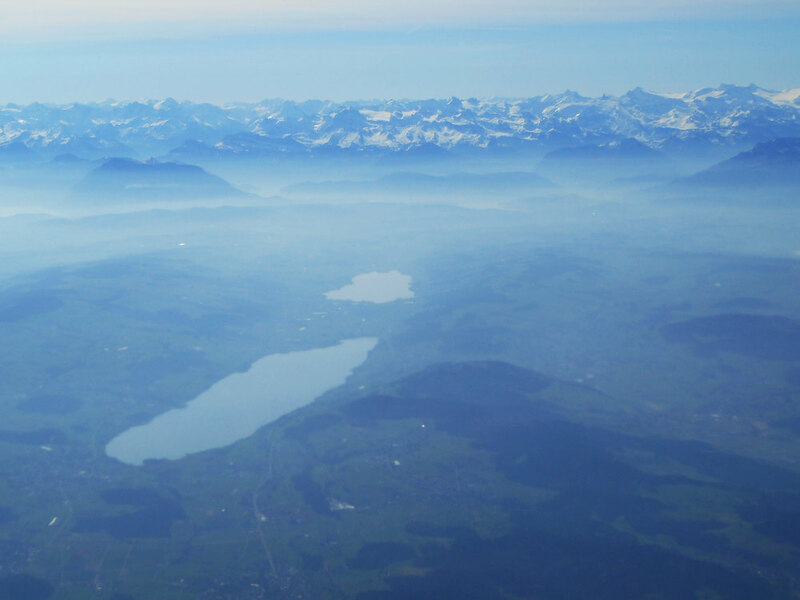 While holding over GIPOL a sight of the Swiss Alps is spreading in the distance. In the valley towards the mountains lakes Hallwil and Baldegg reflect the sunshine. 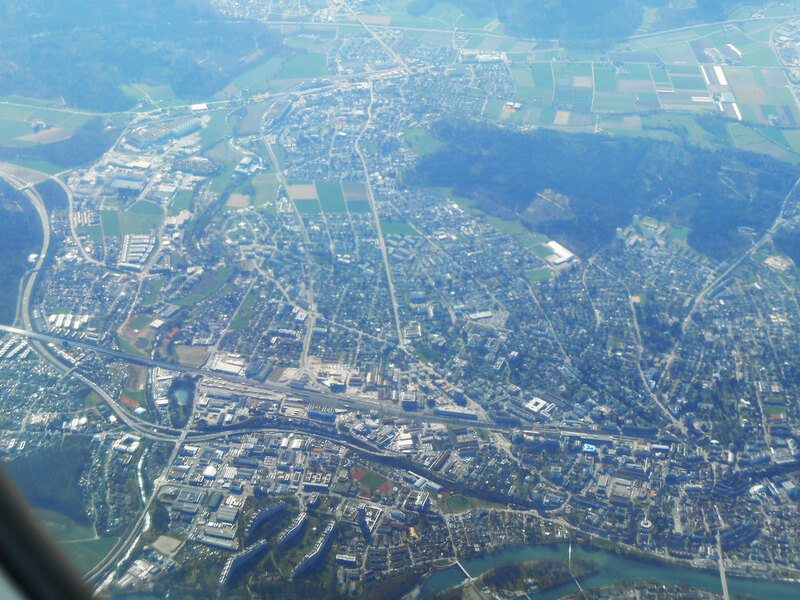 Holding over the city of Aarau. 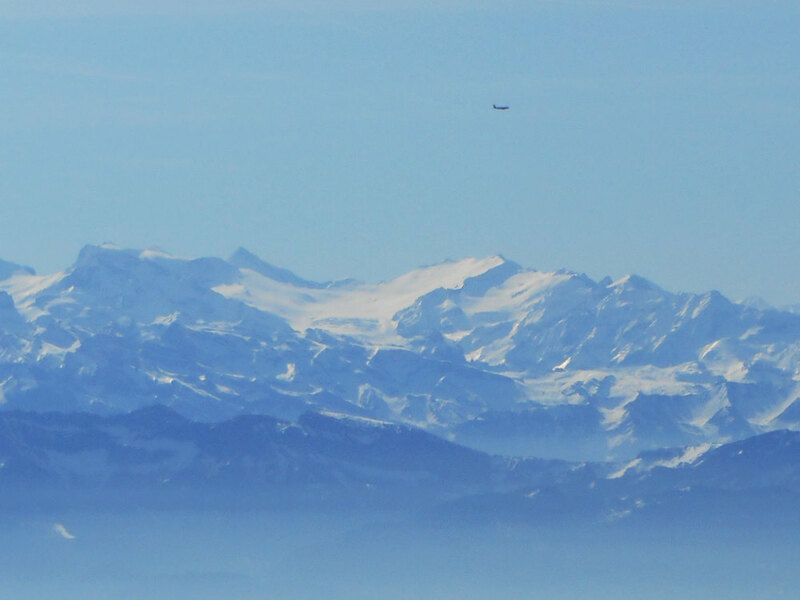 More incoming traffic over the Alps. And some traffic on higher routes as we continue to hold. 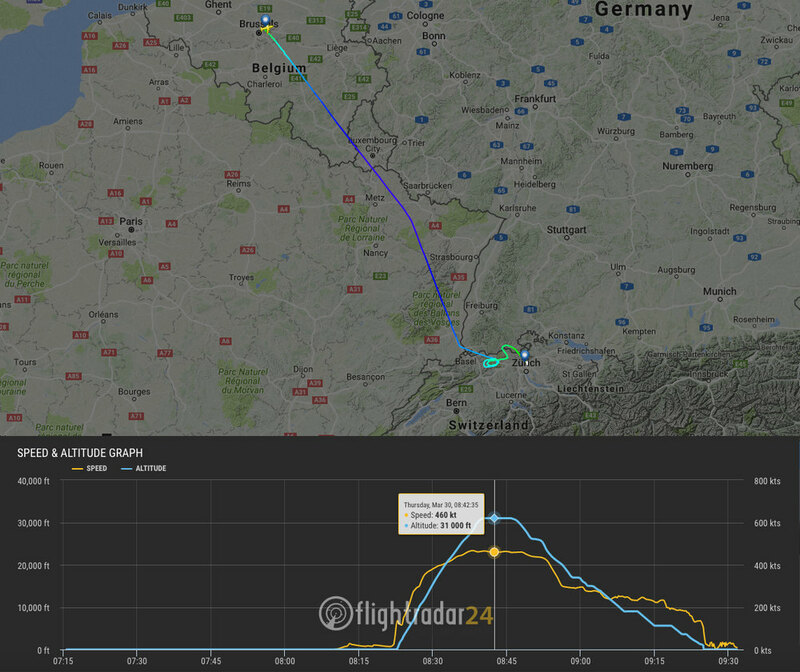 Our holding pattern showing two rounds before further vectoring towards the airport. 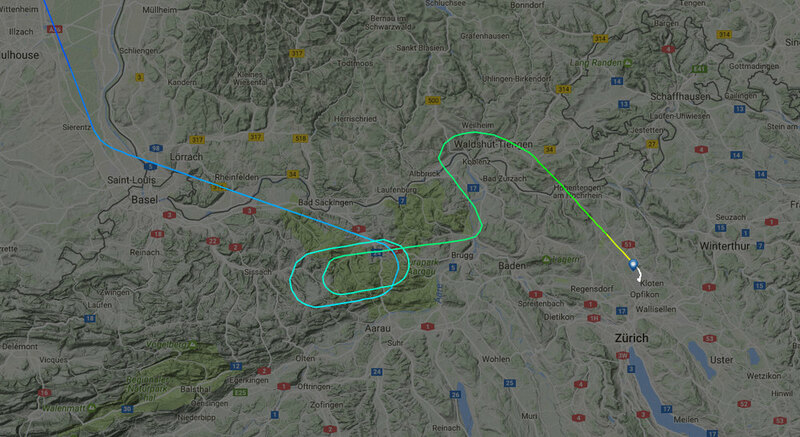 Vacating the holding pattern and continuing towards Kloten. 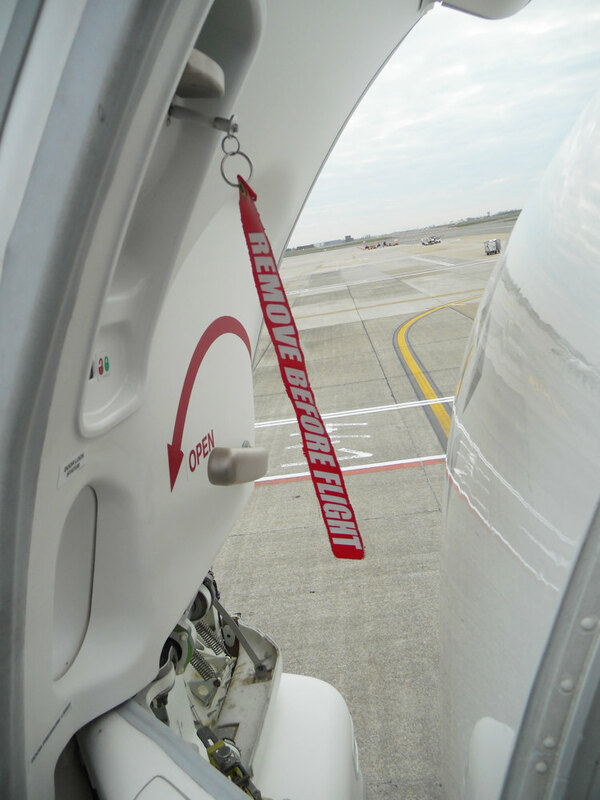 An approach plate for our RWY 14 landing. 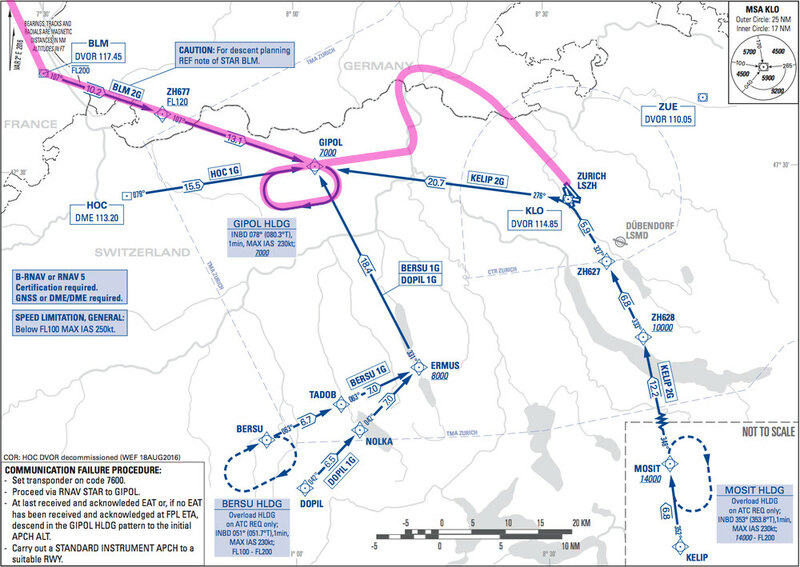 After GIPOL hold vectoring takes us over the German airspace to align with the runway 14. 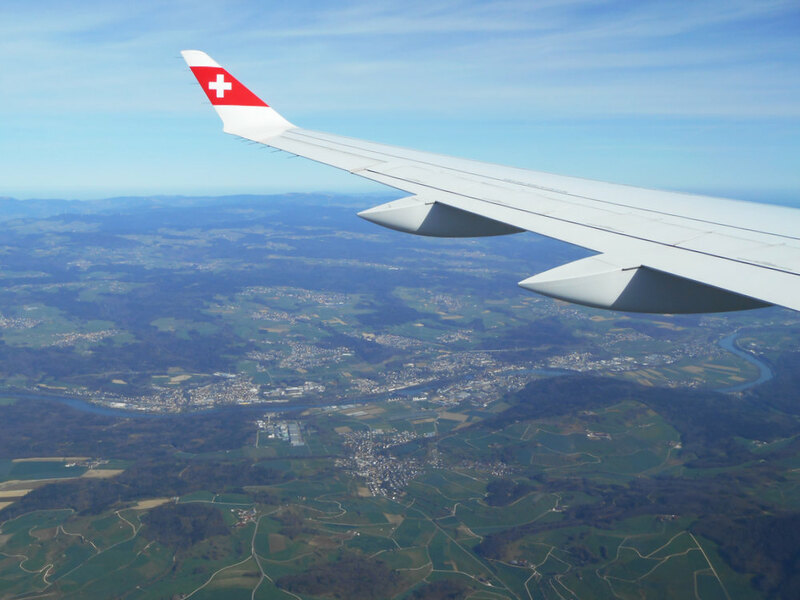 Landing at Zürich Airport (ZRH) on runway 14. 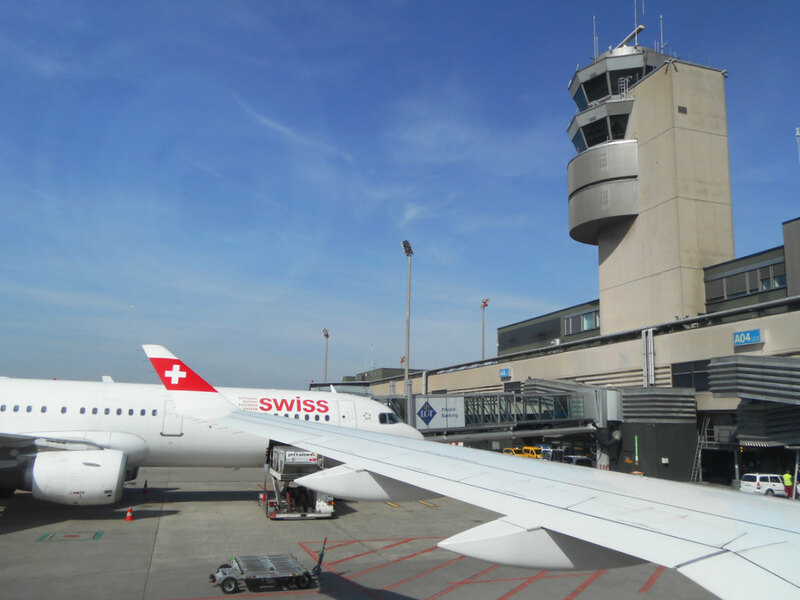 Approaching the gate, right under the Zürich Airport tower. Deboarding. The next flight’s crew is already inspecting the airplane. 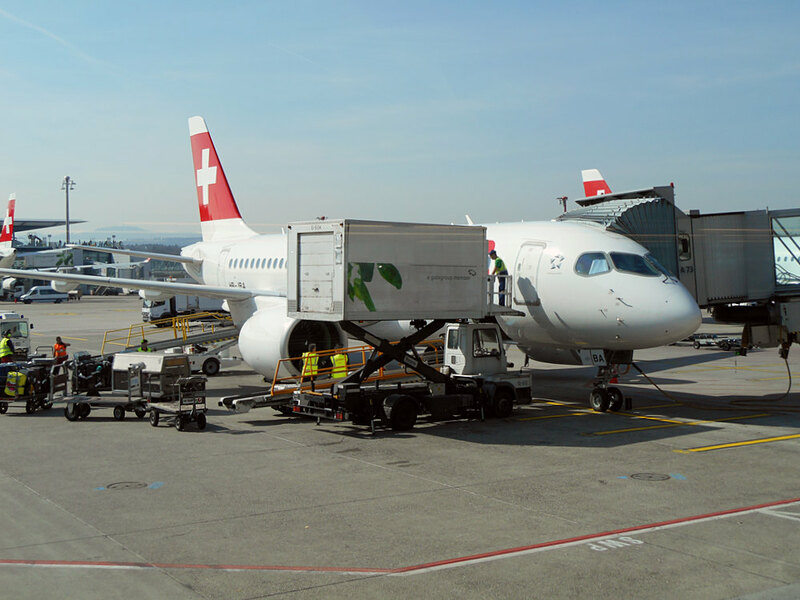 Swiss CS100 HB-JBA safely docked at the gate as catering delivers food for the next flight.